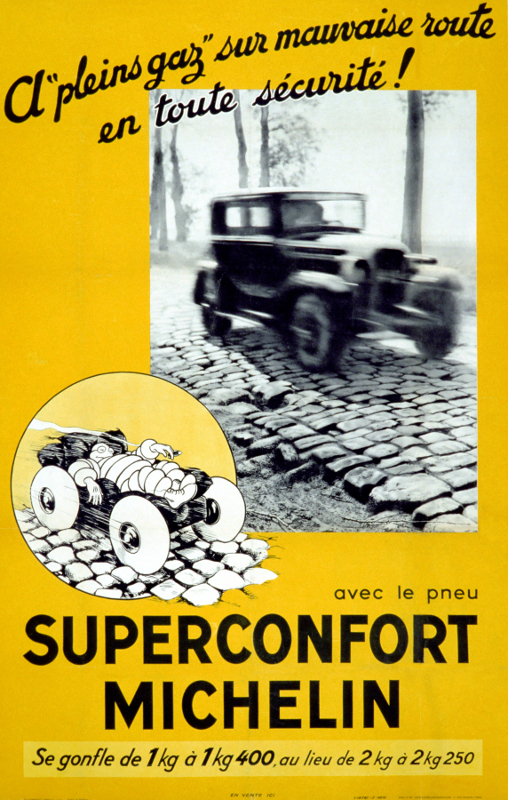 Resulting from research which led to even lower pressures and slower wear, Michelin brought out a very low pressure tyre in 1932, the "Superconfort". 1935 saw the launch of the "Superconfort Stop S" the first tyre with a heavily siped tread pattern, specially designed for wet surfaces. At the time, Michelin was the only manufacturer who knew how to make this type of tyre with the famous wavy "zigzag" sipes, which greatly improve safety because of the excellent grip they give. As its name suggests, the "Superconfort Stop S" tyre offers exceptional comfort, in addition to its performance on the road.